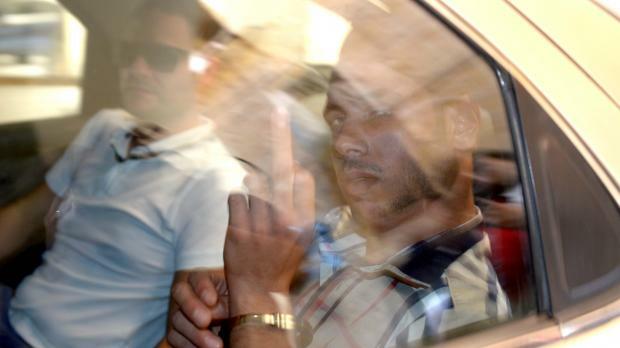 A Libyan man, 22 was accused in court today of the attempted murder of Dutch man Antoon Van der Heide and Libyan Hadji Salah as well as injuring another four in a frenzied flick-knife in Paceville early yesterday. Ehab Zorgani, of Tripoli, was arrested shortly after the incident, at about 4am, in which several other people were slightly injured. As he was driven into the law courts building this afternoon, he raised his handcuffed hands and made a vulgar finger sign at photographers. There were conflicting reports of how the incident unfolded, but it appears to have been sparked off by an argument among a number of Libyans, with the Libyan man then striking out and slashing anybody who happened to be near by. The man was arrested by officers of the Police Rapid Intervention Unit who chased him along Paceville's streets. A 19-year-old Dutchman, who was the most seriously injured yesterday, was operated for a lung injury and is now reportedly no longer in danger of loss of life. The other injured people, all men, were another two Dutch men, two Libyans aged 31 and 38 and a 29-year-old Maltese from Kirkop. During the arraignment, Magistrate Mifsud said that while Malta was a hospitable country for those fleeing persecution, the safety of society should not be undermined. Mr Zorgani pleaded not guilty and was remanded in custody. Sources at Mater Dei hospital confirmed police reports that only six people were injured in yesterday's incident. The confirmation came after widespread rumours circulated on social media claimed that the actual figure was much higher, with some sections of the media quoting eyewitnesses who claimed to have seen 25 injured people. Hospital sources told Times of Malta that five people were admitted to hospital in the immediate aftermath of the attack, while one person checked himself in some time later. Police also brought the aggressor in for treatment. Claims that additional nurses had to be called in from home to deal with the situation were also false, the sources said. Amidst claims that some media had deliberately misrepresented the scale of the attack, this newspaper also contacted the eyewitness who appears to have originated the claim that 25 people were injured. The woman, who was with the injured Maltese man at the time of the attack, admitted that she had only seen three other injured people at the scene. She also said she had not seen any additional injured people at the hospital and had begun spreading the figure of 25 after being told “by some nurses”.